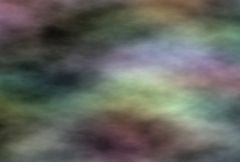 Generates a procedural noise texture like S_Clouds and tints the colors using an additional color noise texture. The Shift Speed parameters cause the texture to automatically translate over time. Color Amount: Default: 0.5, Range: 0 or greater. The amplitude of the color tinting. Color Freq: Default: 1, Range: 0.01 or greater. The frequency of the colors. Increase for finer color variation, decrease for softer color changes. Color Freq Relx: Default: 0.4, Range: 0.01 or greater. The relative horizontal frequency of the colors. Increase to stretch vertically, decrease to stretch horizontally. The number of octaves of color noise to include. Each octave is twice the frequency and half the amplitude of the previous. Color Seed: Default: 0.345, Range: 0 or greater. The random number generator seed to use for the color noise. The actual seed value is not significant, but different values give different results. Scales the color of the result. Color Noise Color: Default rgb: [1 1 1]. Scales the color of the noise used for tinting.